The match is now on at Sir Vivian Richards Stadium, in North Sound, Antigua, Antigua and Barbuda. It was built for use in the 2007 Cricket World Cup where it hosted Super 8 matches. 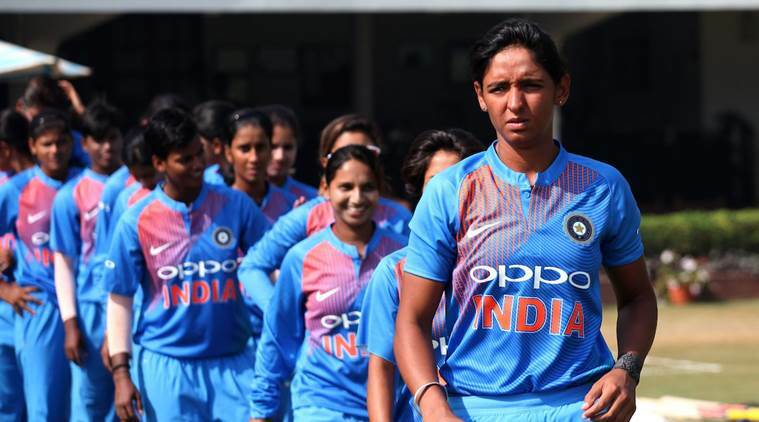 For those not following it is the 2nd Semi finals involving Team India and England – in the ICC Women's World Twenty20, 2018. ICC organized the first edition in England in 2009. For the first three tournaments, there were eight participants, but this number raised to ten from the 2014 edition onwards. Australia are the most successful team at the World Twenty20, having won three tournaments, while the most recent tournament in 2016 was won by the West Indies. Australia are already into the finals and now await the winner of today’s match ! 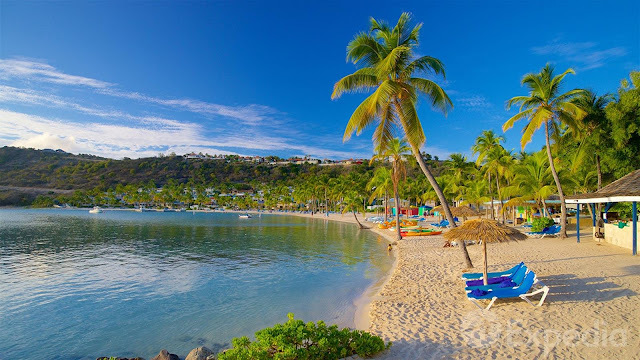 Antigua also known as Waladli by the native population, is an island in the West Indies. It is one of the Leeward Islands in the Caribbean region and the main island of the country of Antigua and Barbuda. Antigua and Barbuda became an independent state within the Commonwealth of Nations in 1981. Antigua means "ancient" in Spanish. The island's circumference is roughly 87 km (54 mi) and is mainly reliant on tourism, with the agricultural sector serving the domestic market. English Harbour on the south-eastern coast is famed for its protected shelter during violent storms. It is the site of a restored British colonial naval station called "Nelson's Dockyard" after Captain Horatio Nelson. Sugar became Antigua's main crop in about 1674, when plantation came from Barbados. According to A Brief History of the Caribbean, many West Indian colonists initially tried to use locals as slaves. The enslaved Africans adapted better to the new environment and thus became the number one choice of unpaid labour; they also provided medical services and skilled labour, including carpentry, for their masters. Sugar cane was one of the most grueling and dangerous crops slaves were forced to cultivate. Harvesting cane required backbreaking long days in sugar cane fields under the hot island sun. The no. of slaves vastly increased in late 1700s. The Slave Act of 1723 made arbitrary murder of slaves a crime, but did not do much to ease their lives. They were subjected to many abuse and years alter in 1807 Great Britain abolished the slave trade ! Indians were coasting along – Smriti Mandhana had given a start – Harmanpreet and Rodrigues were hitting the ball all over – at 13.4 Indians were 89/2 and then came the collapse triggered by Eng captain Heather Knight – Indians were bowled out for 112 and England appears to be coasting to victory now !! In the 1st Semis - Australia 142 for 5 (Healy 46, Lanning 31, Haynes 25*) swamped West Indies 71 (Taylor 16, Perry 2-2, Gardner 2-15, Kimmince 2-17) by 71 runs. Meg Lanning's side vaulted into their fifth final, giving themselves a shot at a fourth title with a performance of a side with a demonstrated history of rising up at crunch moments. West Indies' hopes of a home final to do an encore of Kolkata 2016 went up in flames less than halfway into their chase of 143 on a sluggish surface where pace-off-the-ball was the most important mantra. Stafanie Taylor's 16 was the highest score in a sorry batting performance, with the hosts crumbling on the face of sustained pressure exerted with the new ball by Ellyse Perry, who now sits on 99 T20I wickets. Mehul Choksi, an Indian billionaire businessman, wanted for alleged fraud in India, was granted Antiguan and Barbudan citizenship in November 2017. Recently, the local attorney representing wanted billionaire diamond dealer, confirmed that his client is ill, saying he has a serious cardiac condition and is on medical care in Antigua and Barbuda.